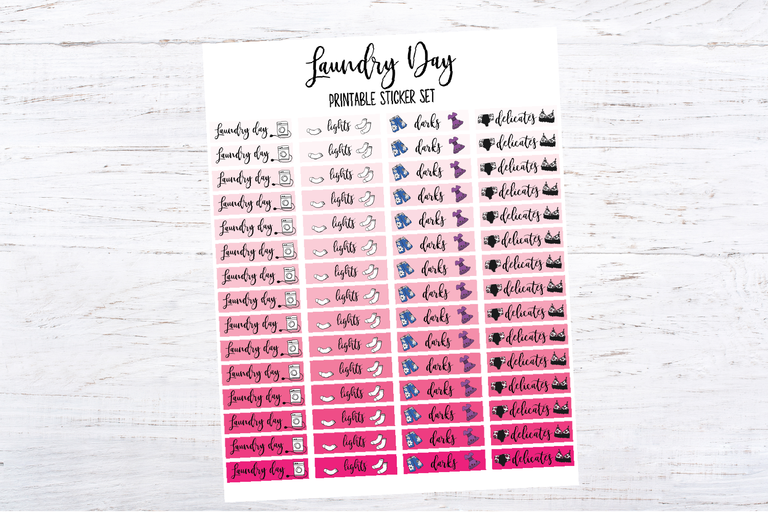 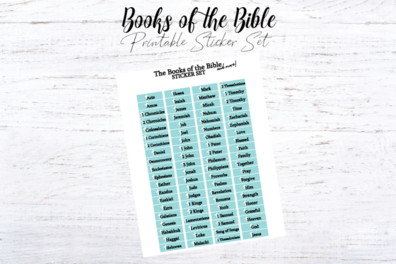 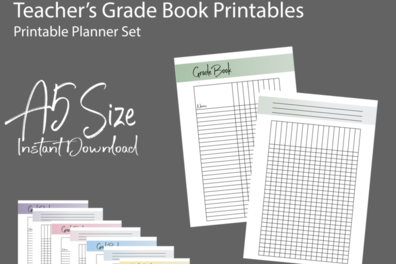 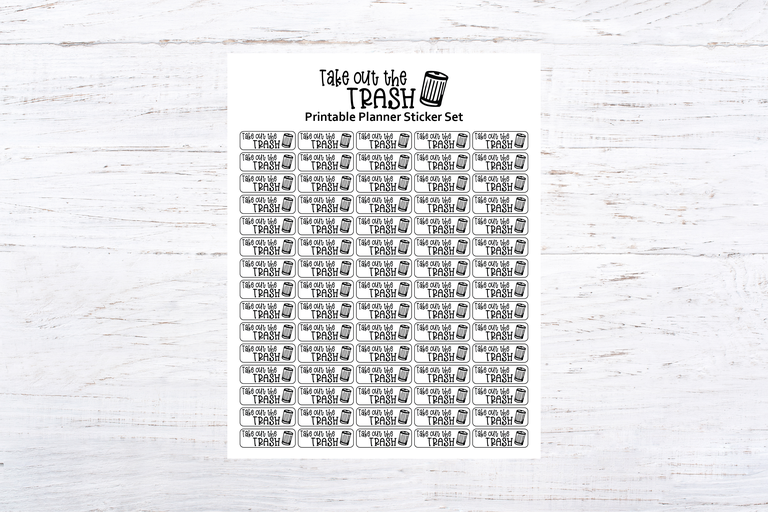 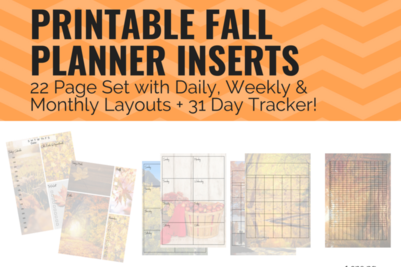 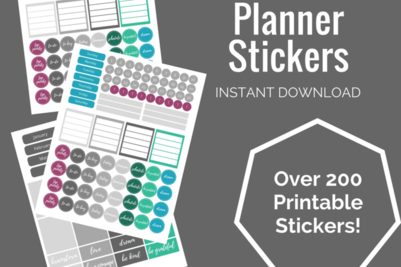 Looking for some fun printables to help keep your life organized? 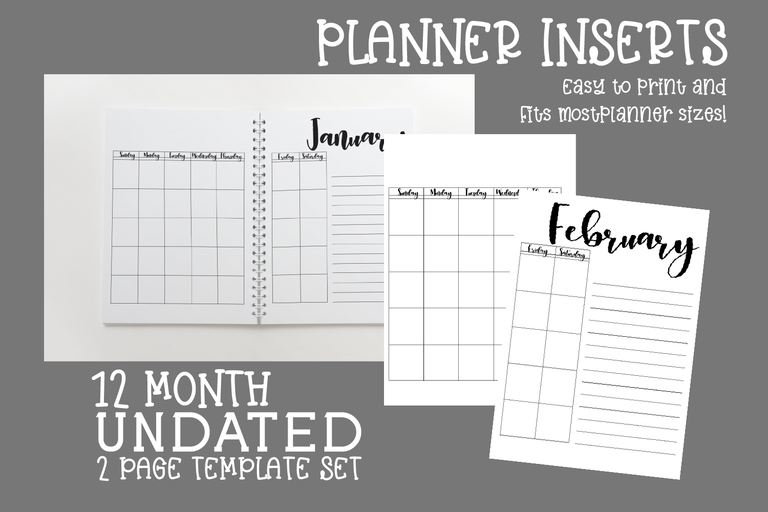 Most of my sets are fill in the blank style, so you can add your own dates and use them anytime, any year! 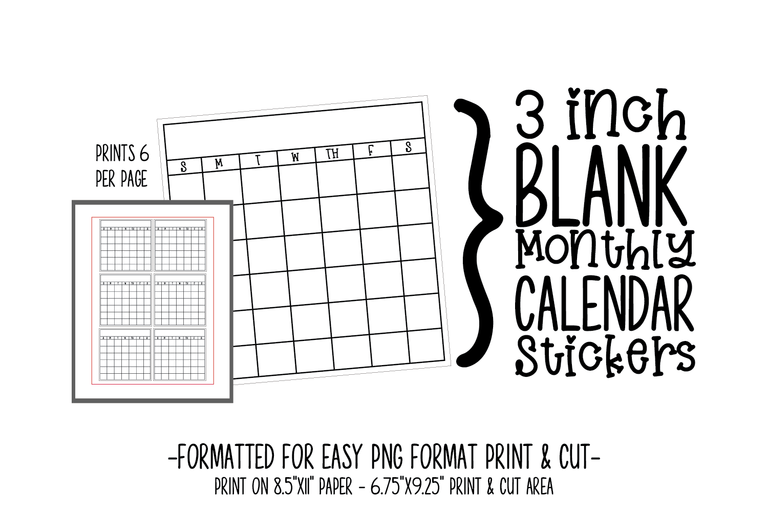 (A few, like my annual calendars do have dates filled in, but those are all clearly marked.) 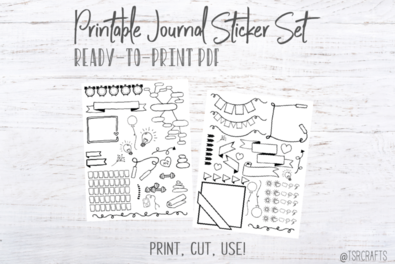 And ALL of my designs were created with maximum versatility in mine, and can be mix-and-matched with other designs in my shop. 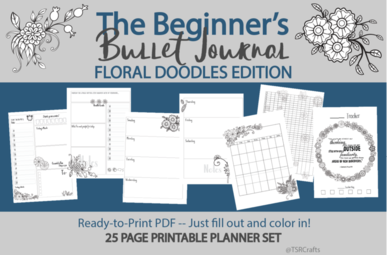 Full of hand drawn doodles for you to color in! 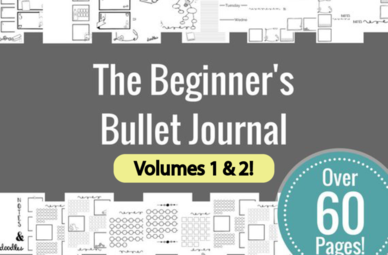 I first created this series in 2017, with the launch of Volume 1 in the spring, and Volume 2 in the fall. 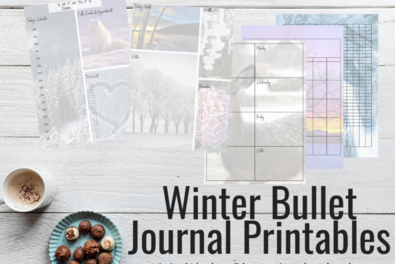 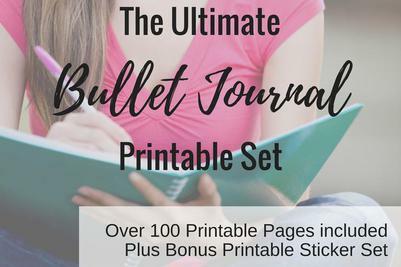 It quickly became my top selling journaling series, and I used all the feedback I received to update the series in 2018. 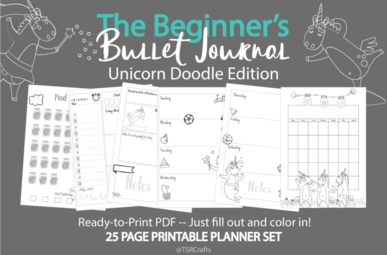 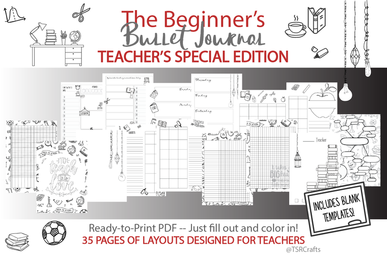 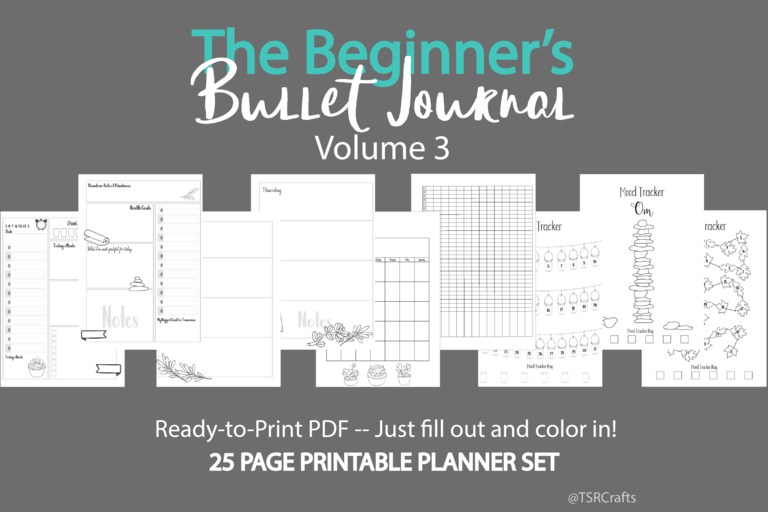 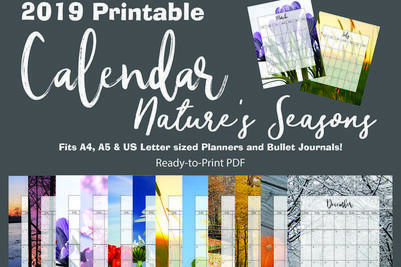 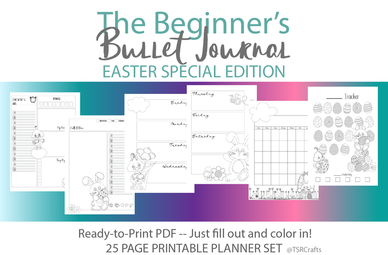 The new fresh design is incorporated in Volumes 3 and later, as well as the special editions and all are meant to be mix-and-matched to create your own perfect adult coloring-book style planner that you can print right from home! 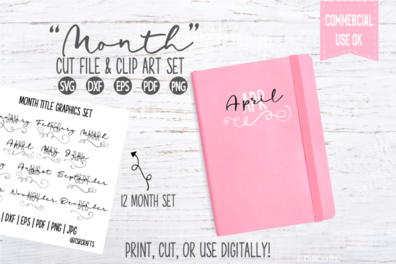 I release new Volumes and Special Editions regularly, so be sure to look for new sets each month! 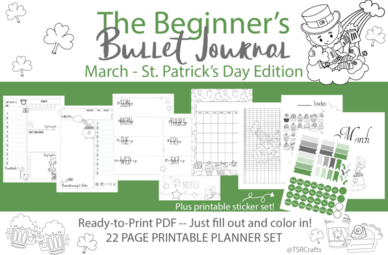 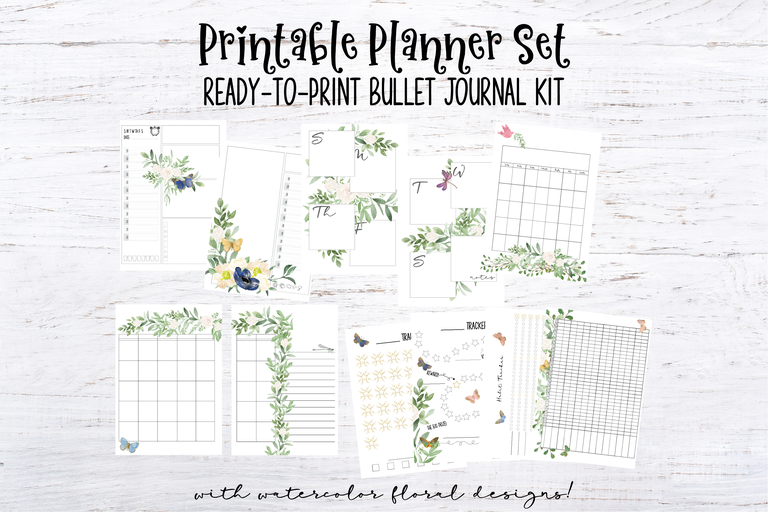 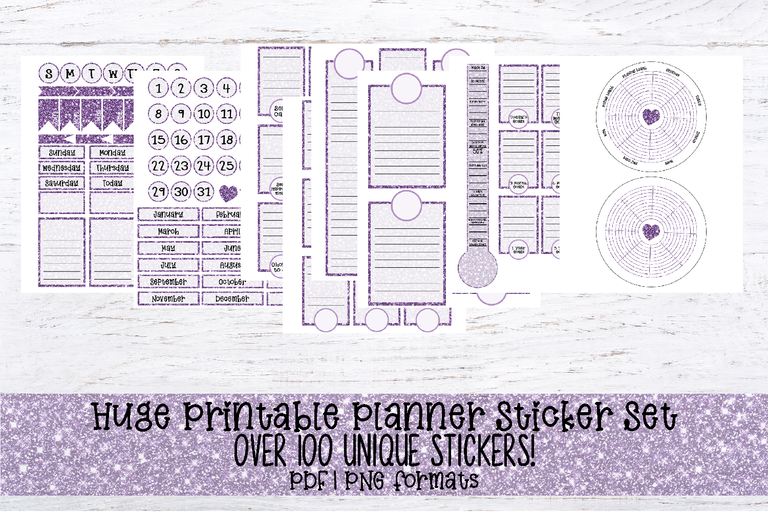 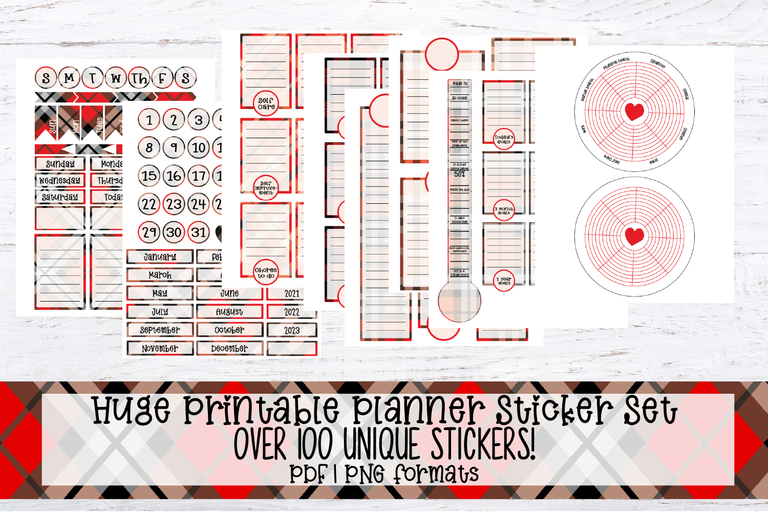 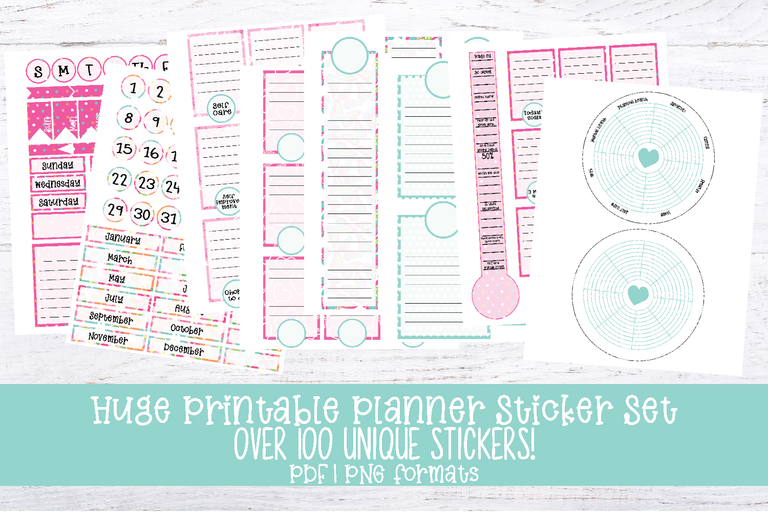 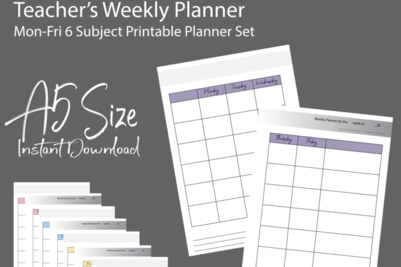 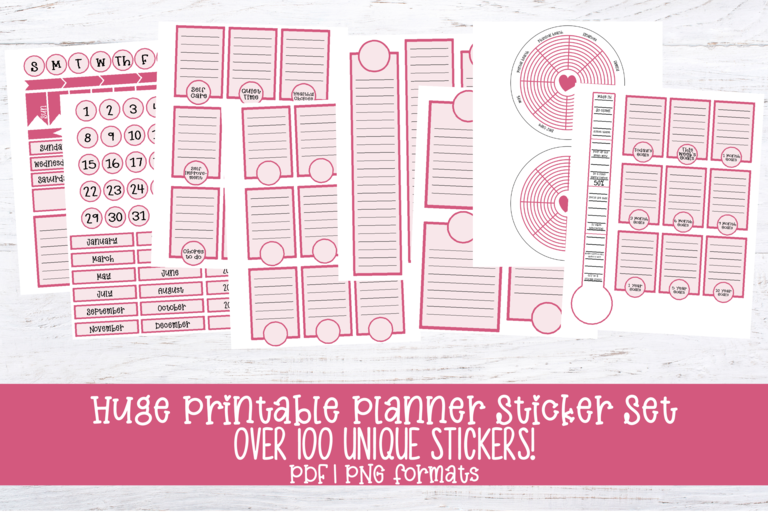 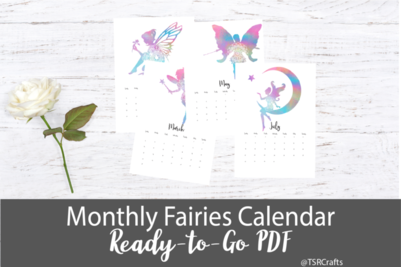 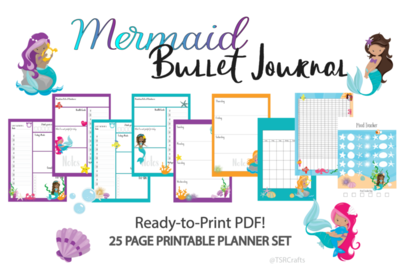 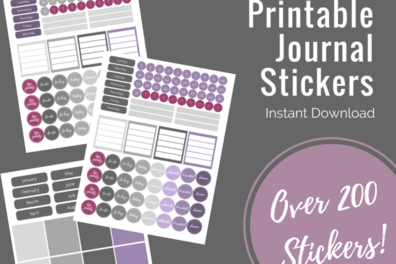 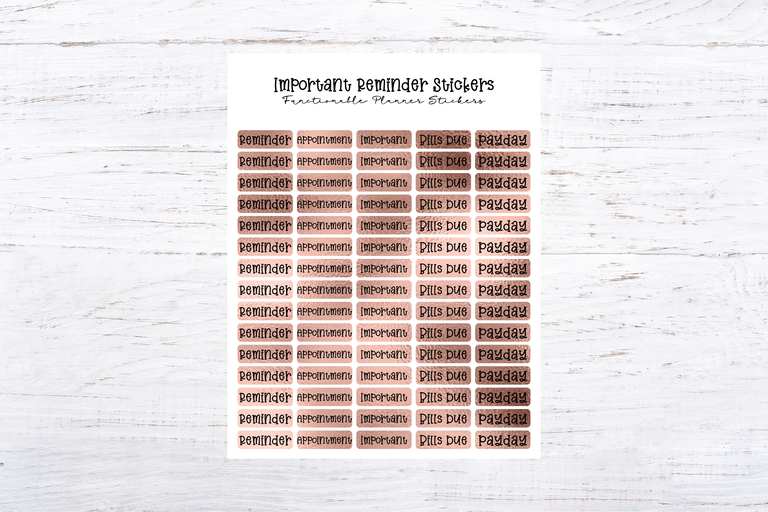 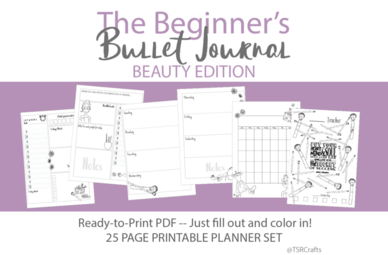 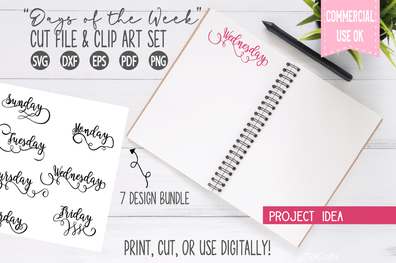 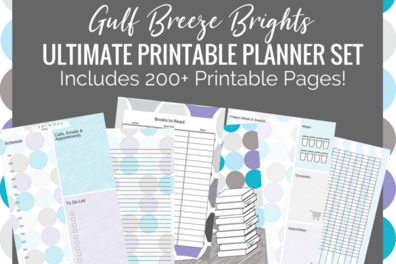 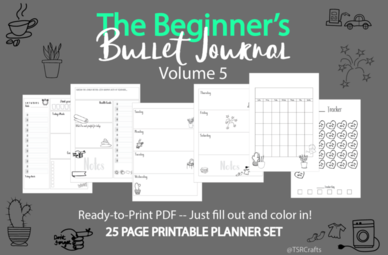 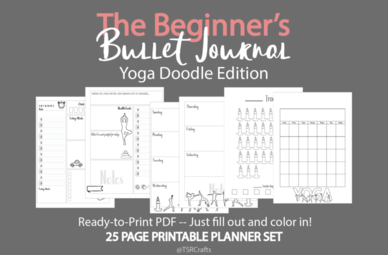 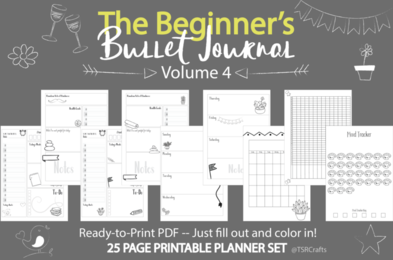 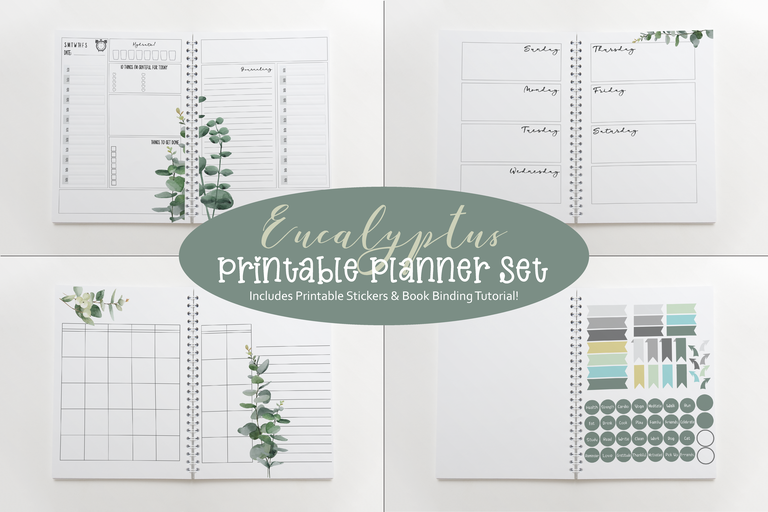 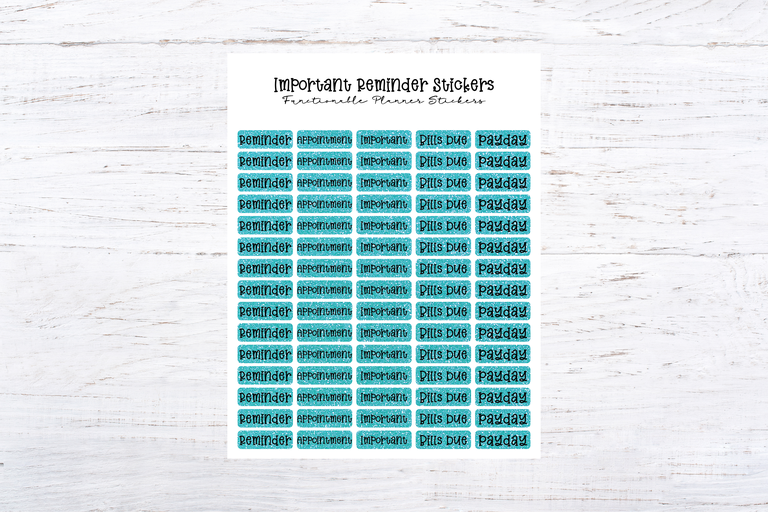 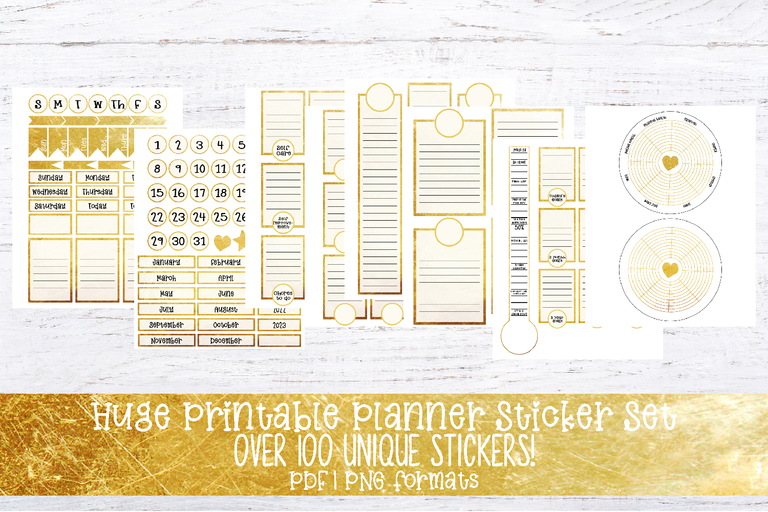 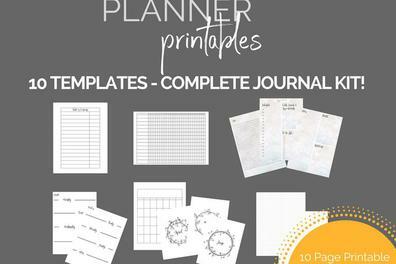 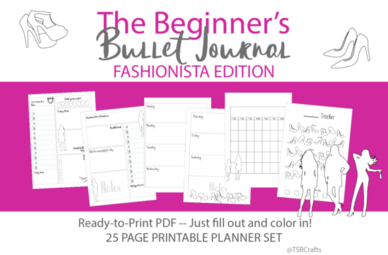 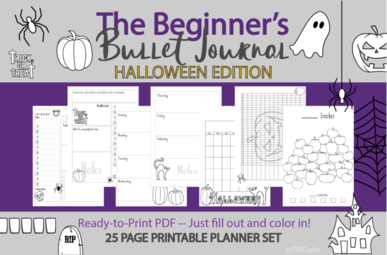 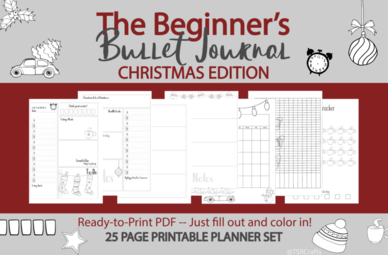 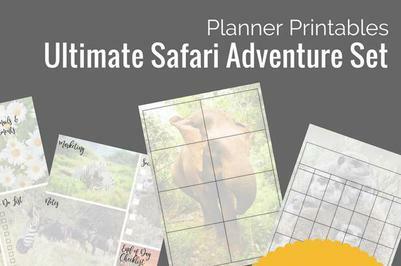 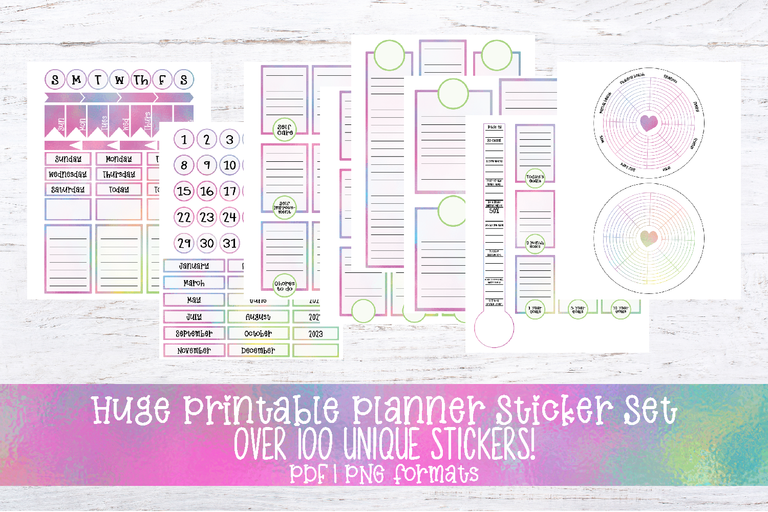 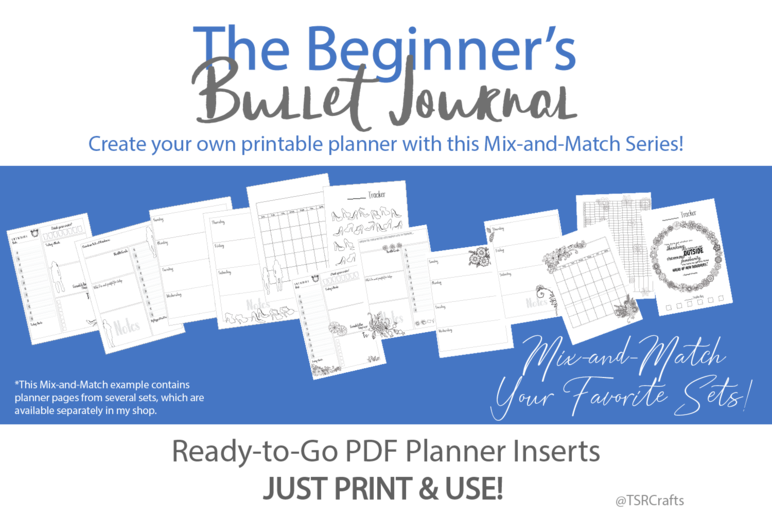 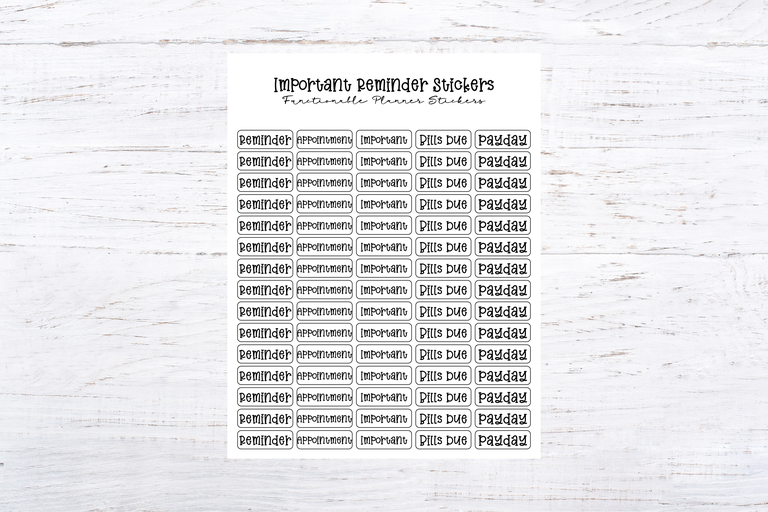 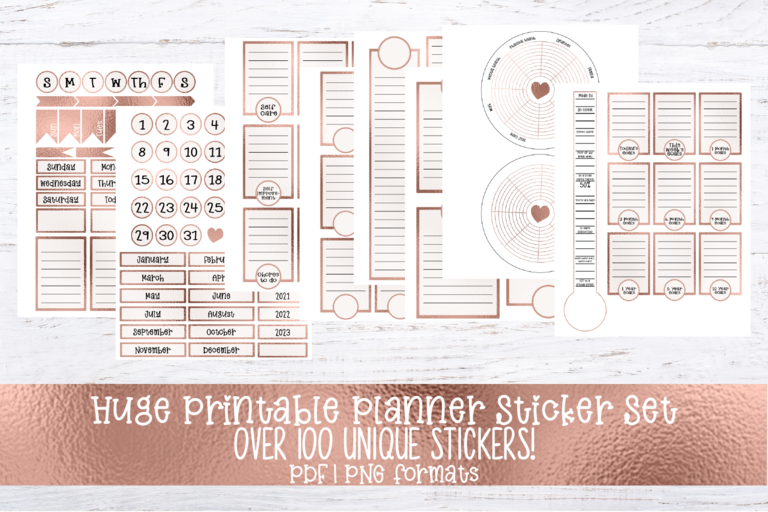 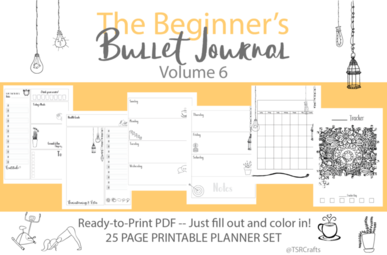 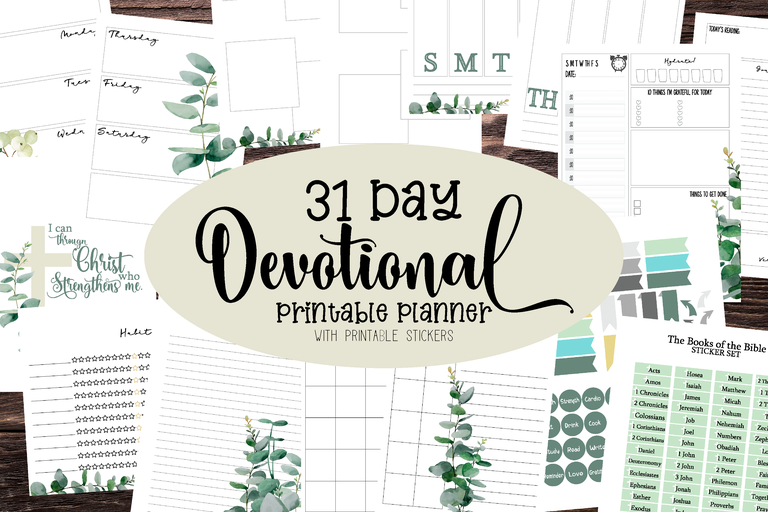 Themed, ready-to-go printable planner designs, in color -- just add text! 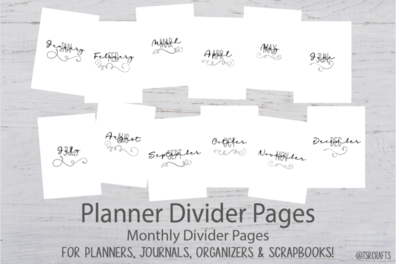 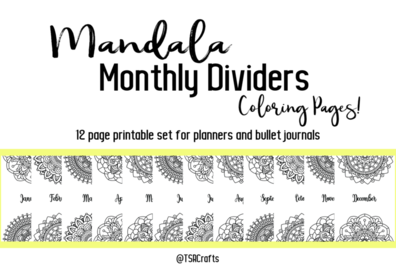 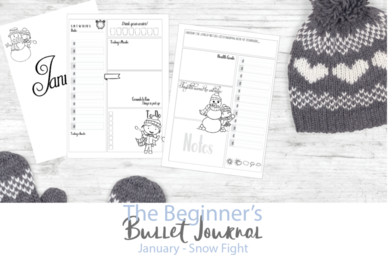 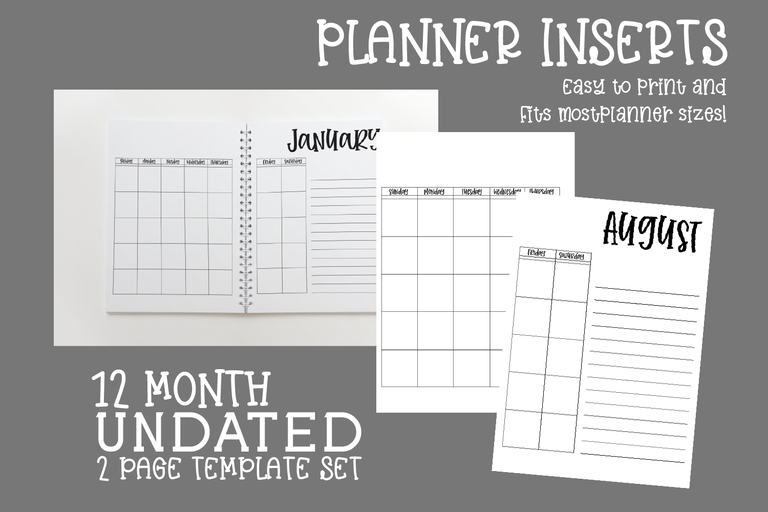 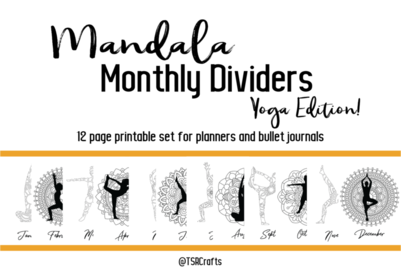 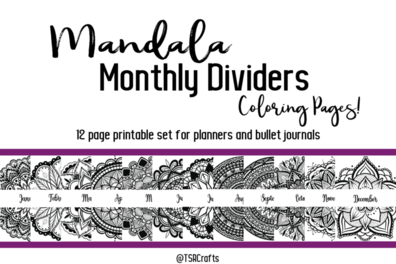 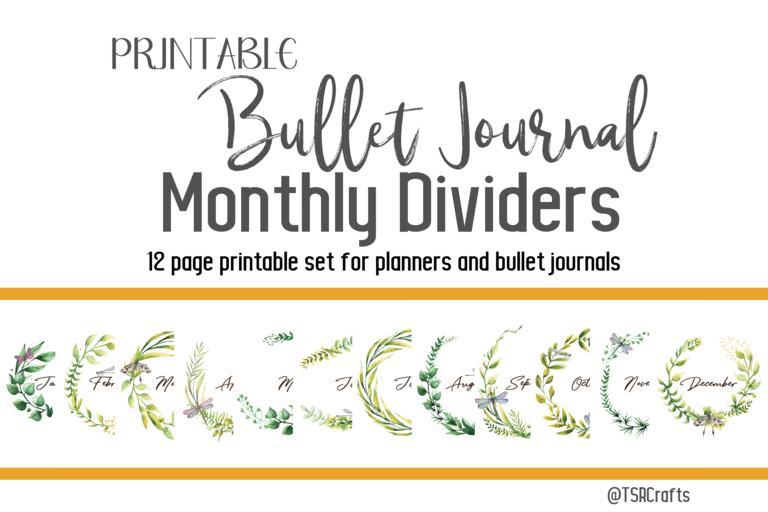 Separate the months in your planner with title pages! 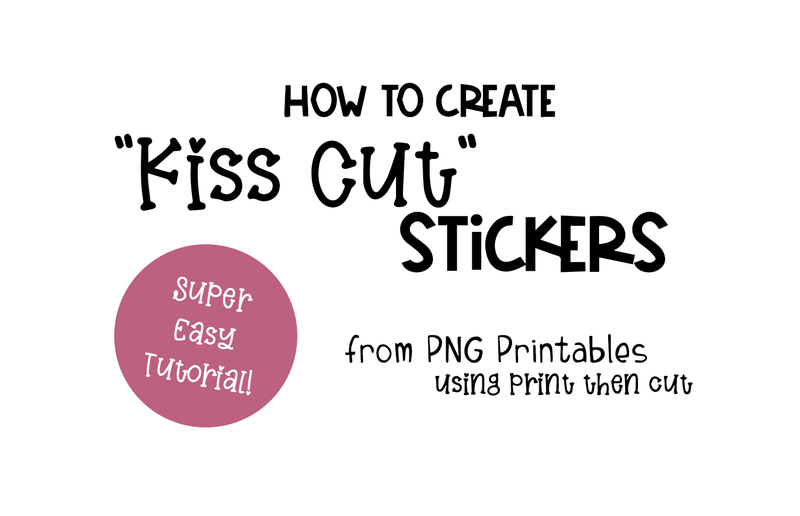 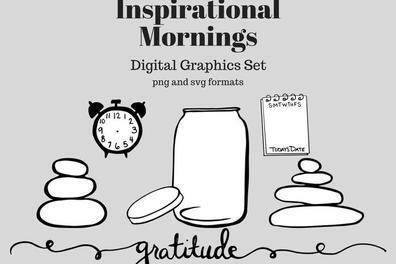 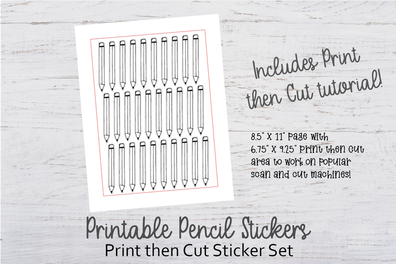 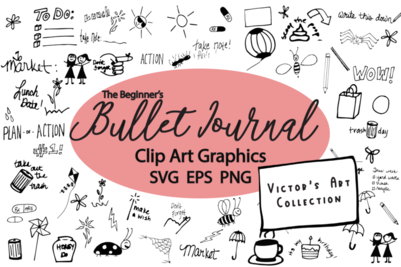 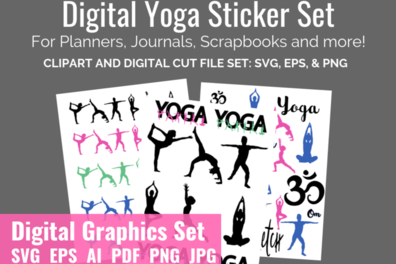 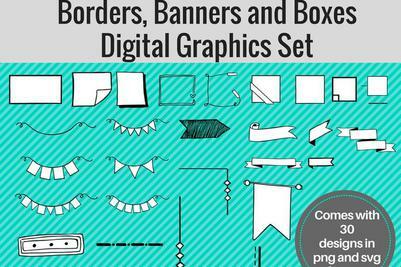 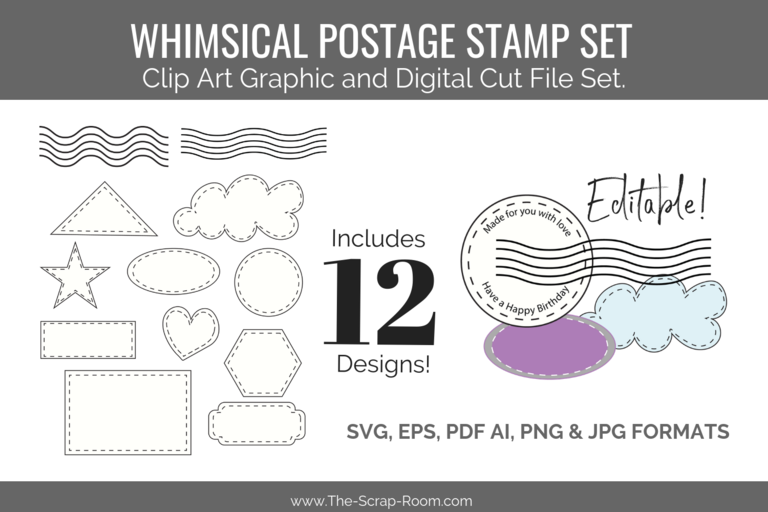 Learn how to make your own printables using these designs in this quick walk-thru tutorial! 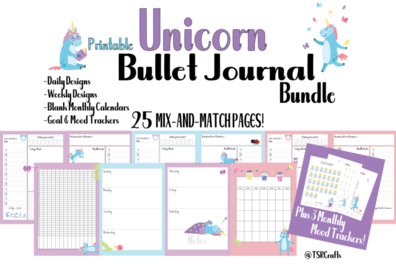 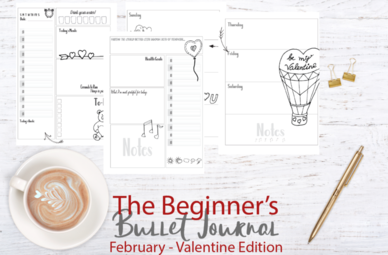 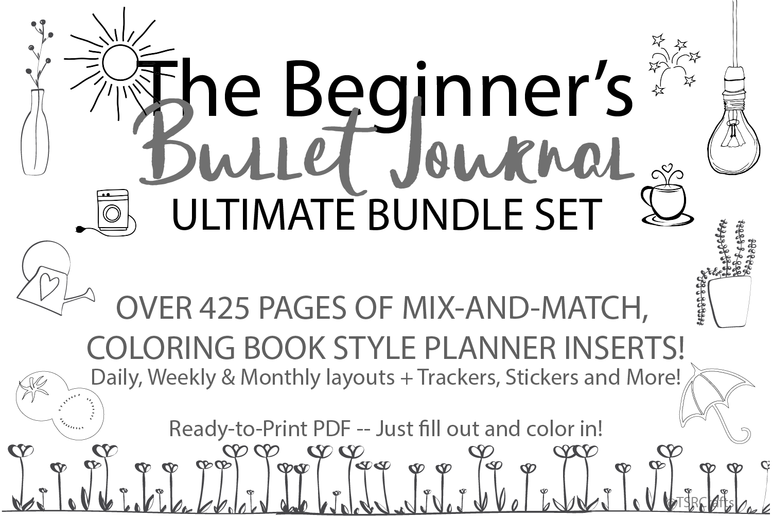 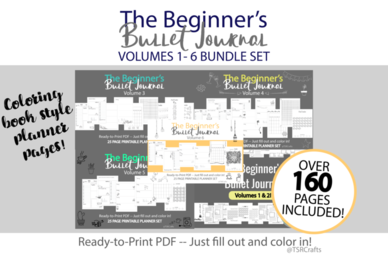 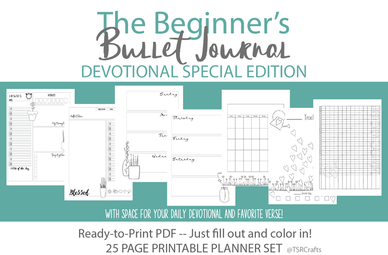 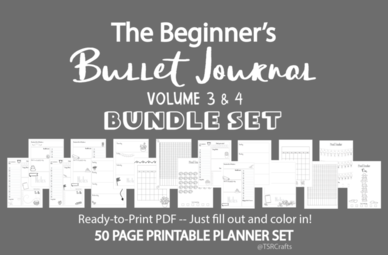 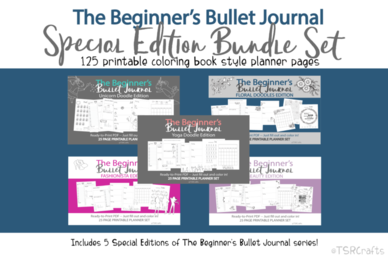 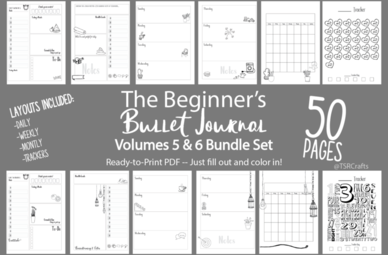 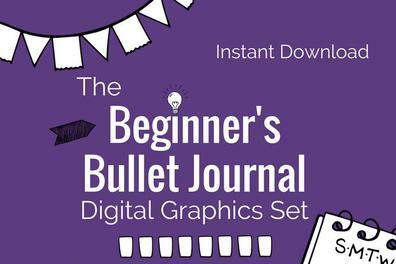 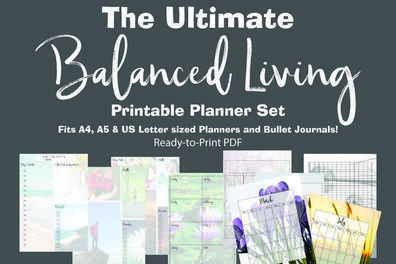 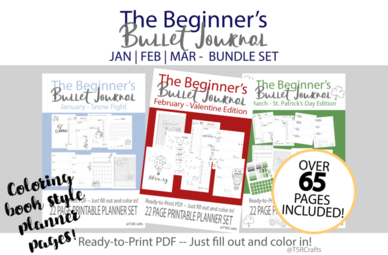 NEW ULTIMATE BEGINNER'S BUJO BUNDLE! 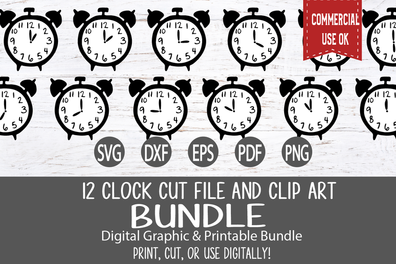 THIS DEAL IS SO HUGE THERE ARE LIMITED QUANTITIES AVAILABLE! 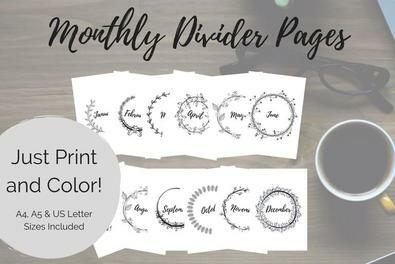 Click here or the pic for details!